The music industry returns home to businesses worldwide with innovative ideas and products that will bring the power of music to the masses. 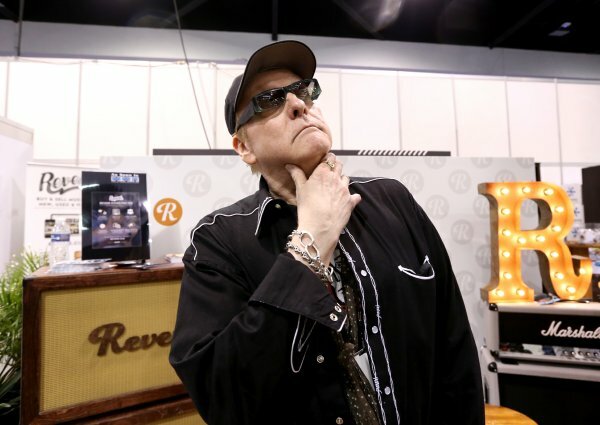 Held January 21-24, NAMM welcomed a record number of exhibitors and registrants to Anaheim, CA. Hundreds of new-to-NAMM companies paired with an increase in global interest, and those quintessential “only at NAMM” moments made for what many NAMM members called the most exciting NAMM Show in the association’s 115-year history. As the scope of music making expands, so do the number of brands that depend on the NAMM Show platform to unveil new products. This year’s show was the largest and most inclusive event in the National Association of Music Merchants’ (NAMM) 115-year history. A record 1,726 exhibiting companies representing more than 6,000 brands brought the entrepreneurial spirit to life. The energy was palatable, with a 7% increase in exhibiting companies over 2015’s event. A mix of NAMM member buyers and retail employees, exhibitors, media, artists, NAMM members’ invited guests, NAMM’s Generation Next (college music students) and Music Education Day participants (school music teachers) resulted in a record 101,736NAMM Show registrants. This is a 2% increase over last year’s record-setting event. The number of new companies relying on the NAMM show platform grew again, representing 409 of the total exhibiting companies. In addition to the new-to-NAMM names, 174 companies returned after a lapse of a year or more. The busy 2016 show provided many emerging brands with the ideal launch pad to meet new partners. “This is my first show and we’re really enthusiastic. It’s our first time to be able to make a good impression on buyers face-to-face. Many people have stopped by our booth in hall E. This morning (Thursday) I’ve already talked to five quality distributors who were extremely interested in our product,” said Renaud Sauzedde, Wild Custom Guitars, France. The NAMM Show’s global stature grew with 15,915 international registrants traveling to Anaheim from abroad, a 20% increase over 2015. Attendees came from every corner of the globe representing 125 different countries. While retailers and distributors come to NAMM to make purchase decisions, the show is also the place to see the big picture of where the industry is heading, and spot potential growth areas for the year ahead. The percussion world held a steady beat with buying interest meeting star power for many brands. The biggest drummers of our time including Questlove, Josh Dun, Tré Cool, Stewart Copeland, Carmine Appice, Josh Devine and many more stopped by the show. With demos on every corner and big crowds, the DJ and pro audio software market appeared vibrant throughout. “I’m looking for new DJ controllers, headphones, speakers…this is the main show for us audio buyers,” said Kyle Kjensrud, Audio Category Buyer, Full Compass Systems. Then there are those moments, moments that only happen at a NAMM Show, when you look over and a legendary artist is demoing an instrument right next to you. With hundreds of major stars attending the show to support their brand partners, there were more of those moments this year than ever before. 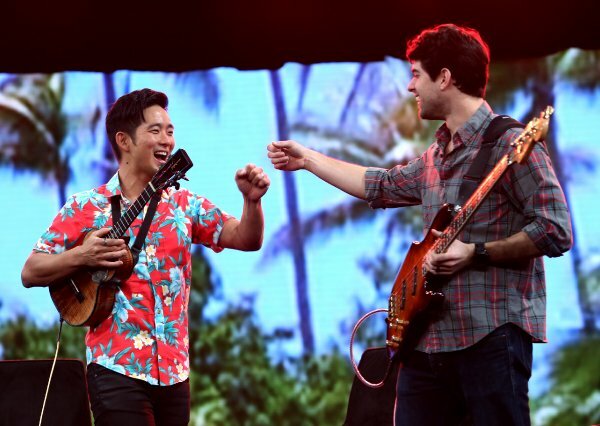 Where other than NAMM does the day start with ukulele virtuoso Jake Shimabukuro, Annie Clark a.k.a. St. Vincent, and Graham Nash on the same stage, as it did on NAMM’s morning NAMM U Breakfast of Champions. Legendary musician and songwriter Graham Nash shared personal anecdotes from his more than 50 years in music with a crowd of 1,522 industry leaders. 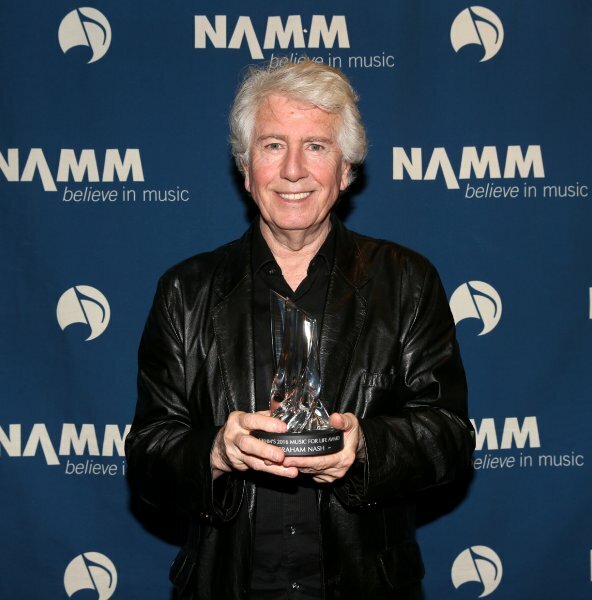 “Graham Nash was breathing the spirit of NAMM and importance of music education, the importance keeping music in schools fresh,” said Anthony Cutietta, San Diego Music Studios. 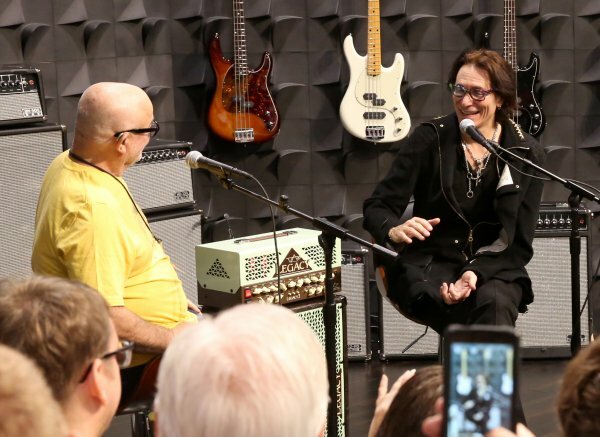 “Weird Al” Yankovic hopped on stage for the inaugural NAMM Foundation Grand Rally for Music Education sharing honest insights and some laughs about his creative process with college students and educators. 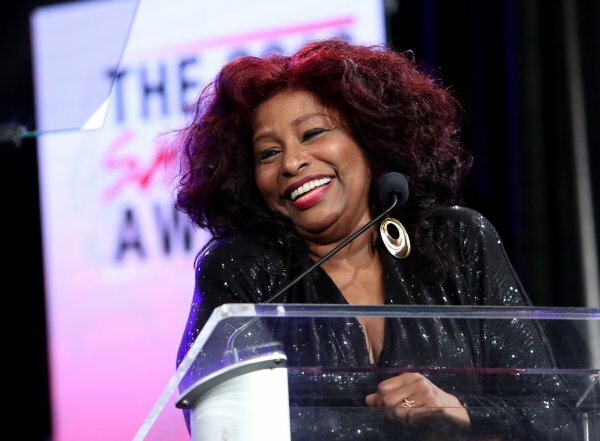 Evening award events including the 31st annual NAMM TEC Awards featuring Jeff “Skunk” Baxter, Don Was, and Nathan East to the She Rocks Awards featuring Jennifer Batten, Amy Heidemann of Karmin and Chaka Khan added to the star-studded trade show’s allure. The NAMM Nissan Grand Plaza Stage sparkled under a nearly full moon starting off with an intimate performance by Graham Nash. Dr. John & The Nite Trippers headlined the NAMM Foundation Celebration of Music Education in association with the John Lennon Educational Tour Bus Imagine Party on Friday. Saturday capped off with a sing-along set of classic rock hits by The Legends. Next Up Summer NAMM returns to Nashville’s beautiful Music City Center on June 23-25. Global growth opportunities abound at NAMM Musikmesse Russia, September 15-18 and ProLight + Sound NAMM Russia, September 15-17. The NAMM Show returns to Anaheim, January 19–22, 2017. Then in 2018, the global music product industry will return to Anaheim with room to grow into the new, modern wing of the Anaheim Convention Center that is currently under construction. 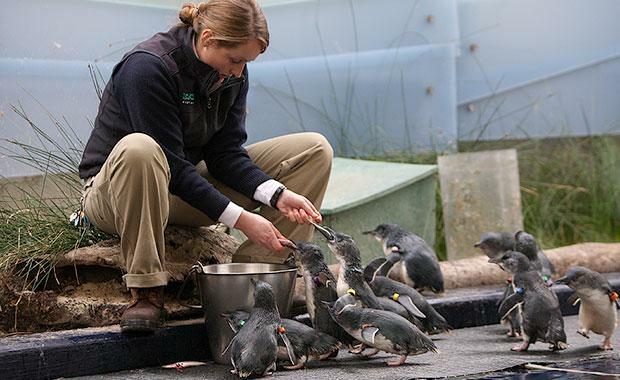 The Melbourne Zoo Twilight series kicks off on Friday 29th and has been selling amazingly well. Perth’s San Cisco and Brisbane’s Last Dinosaurs show is now sold out alongside a number of the other shows including The Waifs, José González, John Butler Trio x 2, and Birds of Tokyo with many of the other shows selling fast. Kicking off this week with Tex Perkins and The Tennessee Four with Rachael Tidd, with special guest Vic Simms, Friday night and the undeniably gorgeous sounds of The Waifs, with special guest Ruby Boots, on Saturday, the stage is set to heat up every Friday and Saturday night from January 29 – March 12, 2016, with a mix of International and homegrown favorites. Filling the space with heavenly scents, the food vans return with their kitchens serving up a selection of mouthwatering Japanese, Indian and American delights.